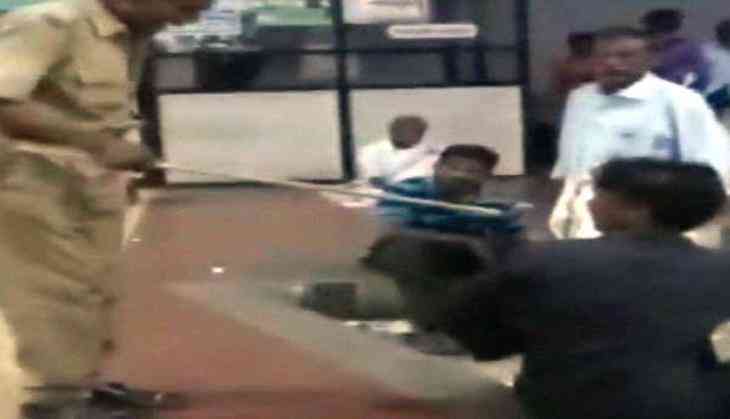 A security guard was caught caning sleeping passengers at a bus terminal on 29 August at Thiruvananthapuram's Thampanoor. In a blatant misuse of power, Vijayakumar, the security guard brutally hit the passengers with his cane and asked them to leave the terminal. Another guard slapped the passengers for questioning him. Vijayakumar was arrested under IPC sections 324 (voluntarily causing hurt by dangerous weapons or means) and 506 (criminal intimidation). The District Transport Officer, Jaya Chandran, when probed, said "He (Vijayakumar) was appointed on a temporary basis and has been terminated after the assault. He was recruited through a firm which supplies the security guards."